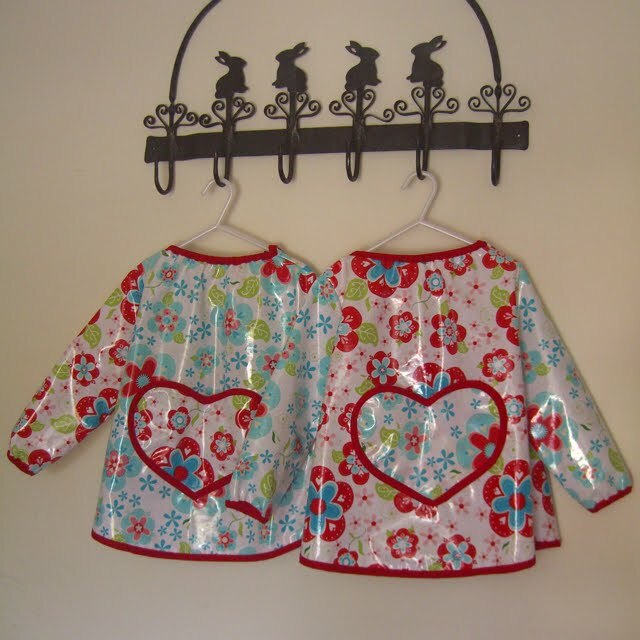 A friend asked for some art smocks for her children made from laminated cotton. I haven't used laminated cotton before - but in our short acquaintance I have grown to love it - much less rigid than oil cloth and it can be washed and pressed easily. 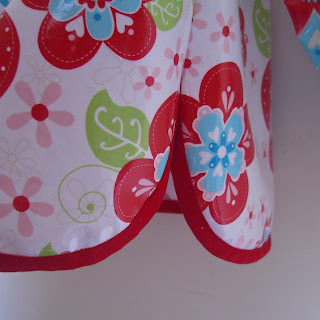 For this project I used Sugar & Spice Laminated Cotton (Riley Blake Designs) in Aqua and Red and the bias tape is made out of a plain red broadcloth. Little Bunny #1 was not at all compliant about wearing or being photographed for this post - I had hoped for adorable photos of her painting - her clothes being projected by my wonderful new garment ... unfortunately my little willful lady had other ideas. 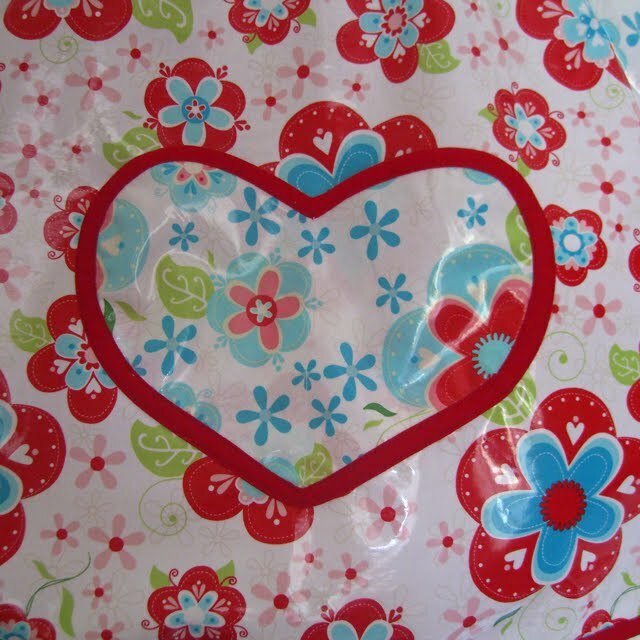 ... and a heart shaped pocket for little paintbrushes or other arty goodies. Here are some sewing tips for laminated cotton from Pink Chalk Studios. And there are some great art smock tutorials out there to note from Don't look now! and Sew Mama Sew. 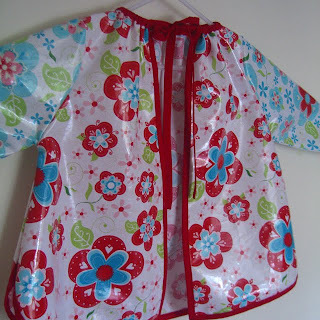 I hope I will be able to post my own pattern with a tutorial soon - I feel there could be many variations on the art smock theme too ... just need to find that elusive free time free from children and not horizontal from exhaustion! perfect little messy time smocks! This is most interesting. I have a big boy (hubby) painter who can make a mess, too. Maybe I can surprise him with a smock. 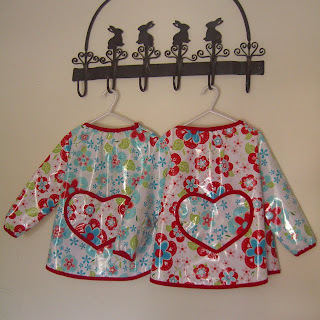 My daughter has been asking me to make Bella and Ava smocks for a while now...love these. I would love to have a tutorial. I noticed that my JoAnn's carries "oil cloth".